These are themed submission calls for magazines and websites. There are more than 25 themes with upcoming deadlines for the 13 markets listed here, including marriage, social networking, diets, infertility, lying, Thanksgiving, Christmas, painting, career and life readiness, Saturn, big game, mercy and forgiveness, special needs, money, sports, and Broadway and beyond. This online feminist magazine is looking for articles on these topics, for upcoming issues: Social Networking, Diets, Infertility and Lying, as well as other themes (see guidelines). They want unique spins on these topics, deep insights, and in-depth explanations. For instance, a good article on dieting might talk about body chemistry and show the latest research into how different foods are metabolized by the body with appropriate footnotes. Article range is 100-5,000 words, and pay is $25 for short department pieces to $200 for long features. Details here and here. They are accepting articles on the Thanksgiving and Christmas themes until 15 April 2019 (click on ‘Stories we would like to see’). Seasonal stories are accepted up to six months in advance. Articles should be up to 1,000 words. These frequently reflect the Lutherian-Christian perspective but are not intended to be ‘lecturing’ sermonettes. They also accept poetry and fillers. Pay is $35. Details here. For this Christian publication, the theme for May 2019 is ‘Making a Difference – Ways to influence at home and in the workplace, leaving a spiritual legacy for future generations’. They require articles on the themes (800-1,250 words) to be submitted 60 days prior to the issue publication and for special issues of Easter and Christmas, work has to be submitted six months in advance. They publish articles, reprints, news, non-fiction, (limited) fiction, Use New Living Translation, and photographs. Pay is $0.35/word for original work and $0.15/word for reprints. They take 3-4 weeks to respond. See guidelines for details about the current, and other themes. Details here. This is an award-winning magazine of Canada’s far north, with Canadian and international readership. The theme for their June issue is ‘The Shrinking North’. They want articles about how decades of infrastructure development and technological innovation have brought the North closer together, more connected to the world, and more accessible to visitors. Issues are planned far in advance and produced two months before the publication date, so freelancers should keep that in mind while pitching. They also encourage pitches outside of the themes on their editorial calendar. Their guidelines say, “Our Front of Book contains a Seen and Noted department, which are essentially first-hand accounts of Northern experiences in 500 to 800 words. This is also where we reserve space for the Icebreaker, a profile of a Northerner making a meaningful or interesting contribution to their hometown or the North. (This generally involves a portrait photo and a 150-300 word story.) In 2019, we have introduced new departments, which include stories about prominent Northern families (Dynasties); recipes (Food & Drink); historical keepstakes, treasures or ephemera that tell a story about a place and time; a dedicated How-To section; and a look at what items you can find interesting Northerners carrying. … Each month we also publish a column that shows off the colourful side of living in the North and a Last Word, recollecting unique and truly Northern moments and (often) struggles.” Pay is unspecified. Details here. This is a leading Canadian forum for accessible, smart writing and conversations about contemporary art. For the above theme their guidelines say, “Here, we present painting as an issue. Still one of the most marketable art forms out there—and therefore one of the most canonized and institutionalized—painting is a flashpoint for how we think about power, commerce and class in the art world. But what does a painting-focused view of contemporary art leave out—and include? Equally relevant—whom does it leave out and include? Does the market-bound nature of painting restrict its ability to critique? How are painting practices gravitating towards the interdisciplinary and installation-based? Are material-specific practices still valid—and does asking this question elide, say, Indigenous art communities, who have been working with paint across generations? What are all the things that painting can do that remain under-discussed? And how have painting’s histories been received and (mis)understood?” Pay is $0.75/word for print (CAD225-2,500) – short reviews, front-of-book texts “Keynote,” an overture on their issue theme, fiction/poetry, “Legacy,” about a little known aspect of Canadian art history, or is a unique twist on a well-known story or figure, essays or features, and investigative features. For digital, pay is $0.50/word (CAD150-700) – they publish short reviews, essays, and investigative reports and profiles. The pitch deadline for their ‘Undoing Painting’ theme is 1 April 2019, and writing deadline is 1 June 2019. Details here. Deadlines are 8 March 2019 for their Ed Tech issue, and 5 April 2019 for their Career and Life Readiness issue. Pay is $100. Details here. This is a science/non-fiction magazine for 7-10-year-olds. They suggest possible article topics for this issue: “Cassini mission; interpreting the data; what is a gas giant; how do planets get rings and how common are they, could Earth ever have rings; Galileo’s telescope; Dragonfly probe and its mission design: could there be life on Saturn’s moons? How do biologists figure out what we need to look for, and then how do engineers build something to look for that?” Each edition of the magazine is built around a central theme on some question or concept in the natural, physical, or social sciences, technology, mathematics, history, or the arts. The articles should read as engaging non-fiction, not like school textbook or encyclopedia material. Intended to be accessible and appealing to newly independent readers (grades 2–5), the ideal article should also be interesting to any general adult reader. They should tell a good story, with an emphasis on ideas rather than just facts. The magazine publishes feature articles (1,200–1,600 words, with sidebars), photo essays (400–600 words), humor pieces (200–400 words), short profiles of people, inventions, events, or the arts (200–400 words), as well as theme-appropriate experiments. The query deadline is 15 March 2019 for the November/December ‘Surprising Saturn’ issue, and pay is unspecified. Details here. This is a magazine for sportsmen. For August, the theme is ‘The Upland Bird Hunting Edition’ and for September/October, it is ‘The Big Game Edition’. They say that they choose an issue’s offerings about eight to twelve months before publication and if writers are aiming at a specific issue, their manuscript should reach the editors at least six months prior to that. The response time is 10-12 weeks. They accept complete manuscripts. Because a large percent of their readers are bird hunters, fly fishers, and big game hunters, they’re always looking for good upland-bird-hunting, fly-fishing, and big-game manuscripts. Other subjects of interest include waterfowl, turkeys, small game, unusual quarry (feral hogs, etc. ), sporting adventures in exciting locales, foreign and domestic, as well as a column called Yarns—tall tales or true. They also publish one poem per issue. There are no word length limits for features. Pay is $100-1,250. There is additional pay for photographs. Details here. This is a quarterly journal devoted to the exploration of the quest for meaning as it is expressed in the world’s myths, symbols, and religious traditions, with particular emphasis on the relationship between this store of wisdom and our modern life. Their theme for Summer is ‘The Wild’ (scroll to the middle of the page, on the right), and for the Fall, it is ‘Mercy and Forgiveness’. They welcome original essays and translations — lively, penetrating material unencumbered by jargon or academic argument. They prefer well-researched, objective, and unsentimental pieces that are grounded in one or more religious or cultural tradition; articles that focus on dreams, visions, or other very personal experiences are unlikely to be accepted. All articles must be directly related to the theme of an issue. They also publish poetry, and rarely publish short fiction. They occasionally publish extended reviews of books, movies, videos, performances, art exhibitions, and other current programs or events in a section called “Tangents” and these should have some connections to the theme. Articles are 1,000-3,000 words; they also have shorter columns. Deadline for ‘The Wild’ issue is 1 March 2019, and for ‘Mercy and Forgiveness’, it is 1 June 2019. Pay is unspecified. Details here. This is a publication covering theatre in the US. They have an online as well as print edition. Two of their upcoming themes are ‘Broadway and Beyond’ (April 2019), and ‘Theatre in Japan’ (May/June 2019). They ask for a two-month lead time for material for their print issue. Pay is unspecified. Details here and here. This is a resource for parents in Southeast Michigan. They assign work for one of their three annual print guides in March: The Big Book of Schools. It features breakdowns of all of the public, private and charter schools in southeast Michigan, and statewide colleges. Pay is $125-plus for the Big Book of Schools. For the print magazine, the April issue is on ‘Special Needs, Money, Sports’ – they suggest writers aim to pitch 2-3 months before the issue. They publish features, as well as regular columns and pay is $25-200+. For Metroparenting.com, they publish work from Southeast Michigan and beyond, and pay is $40+. Details here. This is a print and online magazine that covers Human Resource issues through news, blogs and feature stories. For the May/June issue, their topics, according to their calendar for advertisers, are: Workforce 100; Best Practice for HR: A Skills Gap Analysis; Buddy, Bully or Boss: Dealing With the Dark Side of Work Relationships; Hot List: Voluntary Benefits Providers; and Hot List: EAP Providers. The calendar also lists other themes for the following months. Their features often focus on how organizations manage the company’s people to maximize contribution to the bottom line. In their print publication, they write to senior-level human resources executives and C-level leaders who make workforce management decisions for the 20,000 largest corporations in the US. From freelancers, they want stories are timely and news-driven and offer insights to their audience on how they can better do their jobs as strategic HR leaders. Their website readers run the gamut from high-level HR leaders at big companies to managers working in organizations of fewer than 500 people, so they want clear, nontechnical jargon-free writing and a count of 1,000 or so words. They also occasionally publish contributed articles on employment-law topics on their website. They are interested in articles on timely issues in labor and employment law that are 500 to 650 words long, without footnotes or case citations. Pay varies. Details here and here. See guidelines for other themes. Writers are also welcome to pitch articles outside of these themes. Their mission is to foster new, original and progressive writing exploring the relationship between politics and culture, especially literature. Editorially, they are committed to publishing underrepresented perspectives on issues rarely given space in traditional media. Contributors are paid AUD120 per article published on the website. For the print magazine, pay for fiction and non-fiction is AUD500 and for poetry, it is AUD150. Details here. 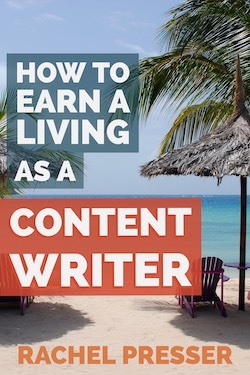 Build your writing career from the ground up.